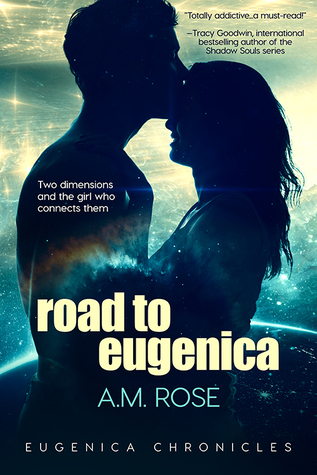 Road to Eugenica by A.M. Rose. Publication: February 5th 2018 by Entangled Teen. Two dimensions - And the girl who connects them. I press my way through gyrating bodies, trying to get as far away from everything as possible. There, sitting on a black leather couch in the corner all alone, is Maddox. I exhale a long breath, thankful nothing happened to him. I feel silly for being so worried about them ten minutes ago. The potent scent of alcohol hits me as soon as I sit down next to him. “Hey, what are you doing over here all by yourself?” I have to lean in close to his ear so he can hear me over the music. “Drea! Have you ever had one of these?” His words are slightly slurred as he holds up a glass half full of red liquid with an orange slice floating on top. 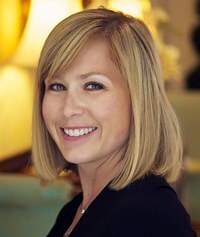 “I was sitting here with a bunch of people and they told me I was way too stressed out. So they gave me this drink. I think they called it a relaxer.” He takes a gulp. “Oh, I don’t know.” He waves his hand in the air and holds up his fingers. “Two or three. I lost count.” He waves his hand again, dismissing the idea. “They totally work. I feel way more relaxed! Here, you want some?” He hands the drink to me. “Not yet. There’s something I want to talk to you about,” he says and my pulse speeds up. Could he want to tell me that I’m not imagining things after all? And this thing I think happened in Hollywood really did? His head swivels around like he’s looking for something. Or someone. The Green-eyed man. Is he here? I do a check around the room myself, and when I’m satisfied I don’t see him, I turn back to Maddox. He’s bobbing his head along to the beat. I tap his arm. “Okay, what is it?” I keep the excitement out of my voice. “You’ve skinned a cat?” He sounds horrified as he pulls away from me, almost falling in the process. His voice gets softer, but I still catch every word. He glances from my eyes to my lips. My heart pounds so hard in my chest I’m afraid it’ll break through, but I can’t move. He leans in, his lips barely touching me at first and then firmly pressing against mine. His hands caress the back of my neck and he pulls me deeper into him. Like complementing colors, we blend together seamlessly, creating the perfect mixture. We separate only for a second before I pull him back. His lips are soft and hot as my hand runs along the stubble on his jaw. Kissing him feels better than I ever could’ve imagined. He tastes like sweet fruit and alcohol. He pulls me toward him, but I resist. There’s hurt in his eyes. But he’s drunk, and kissing me could mean absolutely nothing to him tomorrow, when it means absolutely everything to me right now. Sweet looking cover and I enjoyed the excerpt. Looks like a good read. I look forward to reading this. The excerpt did its job of reeling me in because I am ready to read the rest now! Good luck on the release and thanks for the giveaway!